This lightweight lambswool knit is a wardrobe essential. 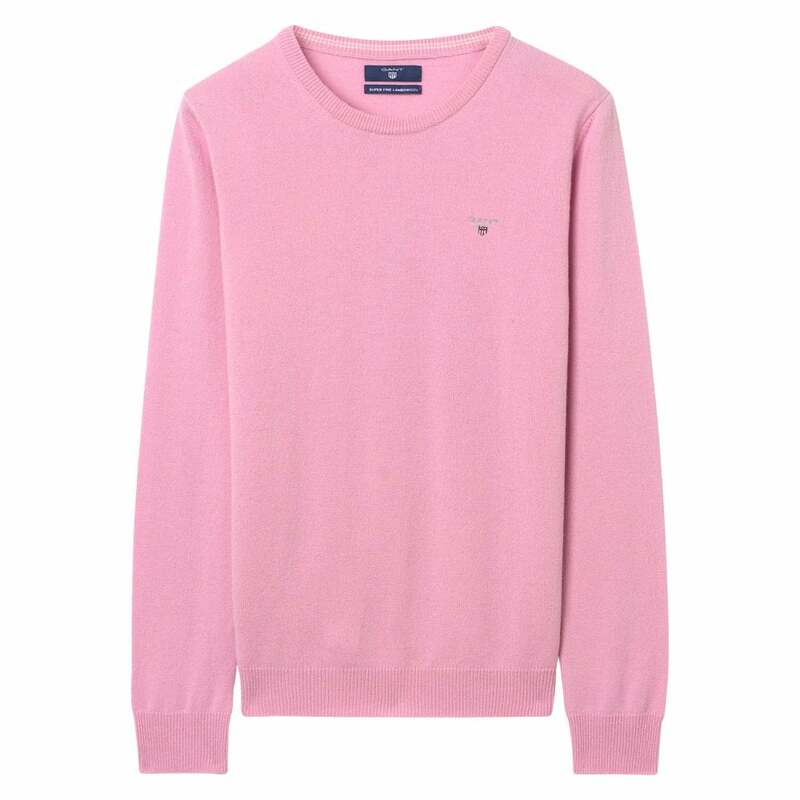 Designed with a regular fit and a simple crew neck this jumper looks great over a fitted shirt with jeans for a casual weekend look. Iron back into shape. Iron inside out. Wash inside out.